James and George enjoying their new opportunity. 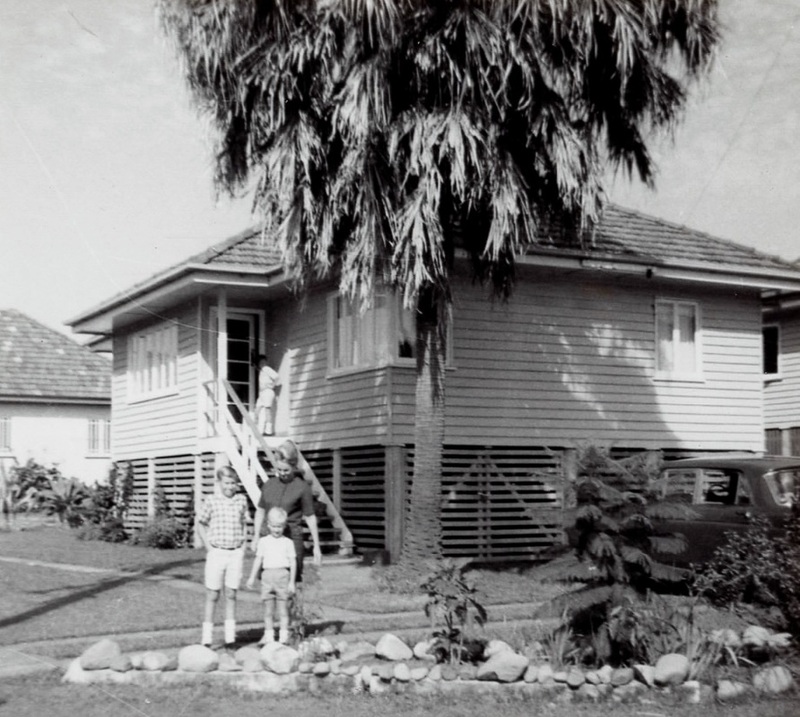 Robert and Lorna Jackson, 40 St Johns Ave.
Robert: Toowoomba 1931, Lorna: Oakey, 1933. How did you or your family come to live in St. John’s Wood? 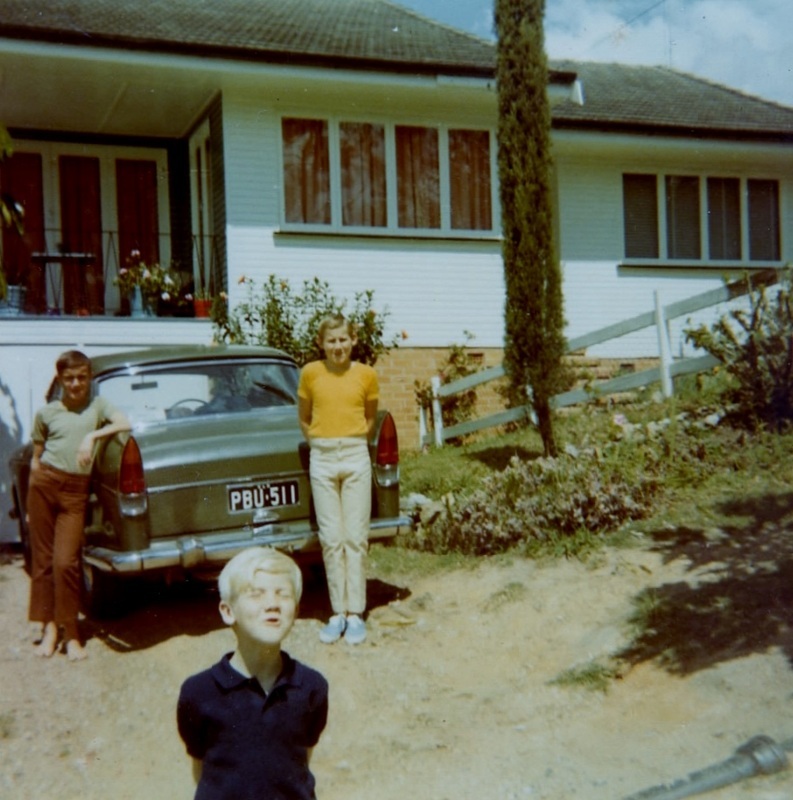 We were living at Allora, south of Toowoomba, for eight years. I was a bank teller for 42 years in total for the National bank. I was due for a promotion at the bank. Lorna had diabetes. My wonderful manager, Arch Wellington said, “I think the best thing for you, due to your wife’s diabetes and your five sons (Robert, Allan, Ronald, Warren and John), who will want jobs, I will recommend a transfer to Brisbane.” We took his advice and moved to Brisbane. We looked at New Farm but the houses were too close together. We wanted somewhere close to a good school. 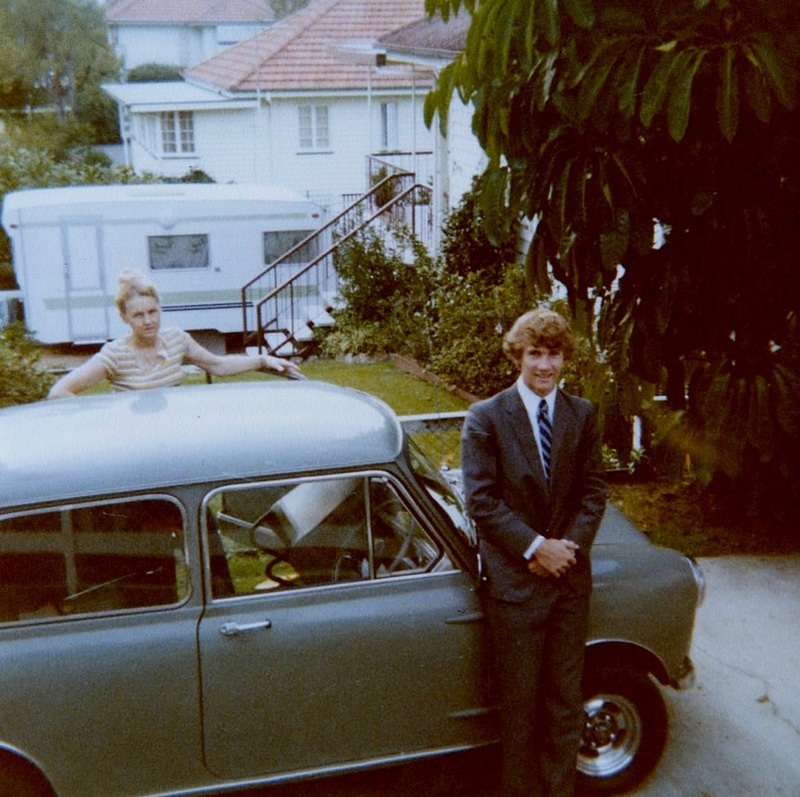 One of the bank staff owned a house in St Johns Wood, on the corner of St Johns Ave and Royal Pde, so we rented that for a few months in 1967. The house we live in now was owned by an English couple. They built the house but the wife wanted to return to England, so they sold it. It was under contract but it fell through. We knocked on the door and had a chat with them and bought it for $10000. 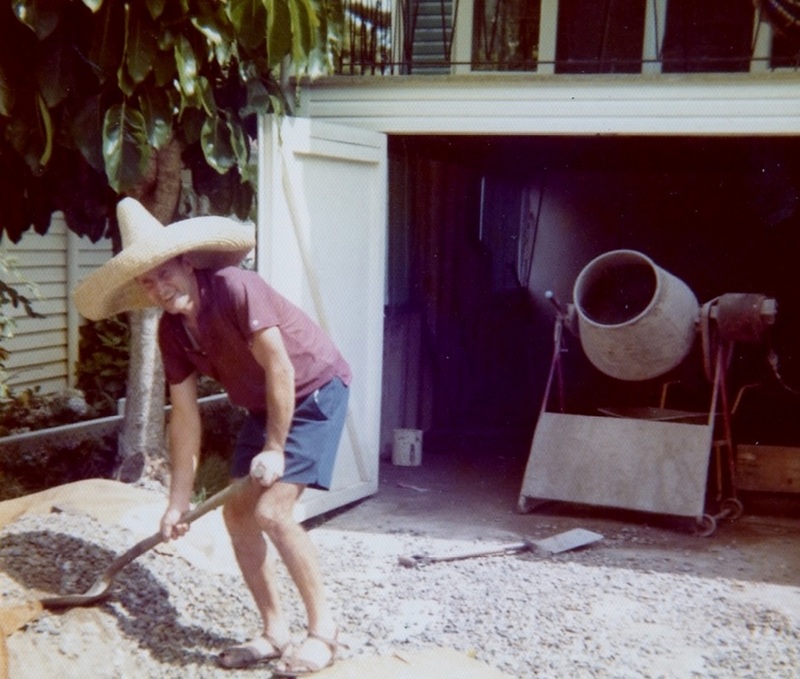 We spent years working on the house and as a consequence of that and the fact Bob worked on Saturdays, we did not get to go on a holiday for 30 years. What is your earliest memory of St. John’s Wood? We thought it different, it was very 'countrified'. You could look out and see the Ashgrove sports ground in those days, but the trees have grown tall now. Not many people knew about this area. I thought it was the best spot in Brisbane. I could not think of any better place. It felt quiet and safe. Where did you go to do your shopping and how would you get there? Well there was the Police station up the road, a couple of fruit shops, butchers and hairdressers across Waterworks Road. You could telephone them up and they would deliver it right into your fridge! There was a great paper shop too up at West Ashgrove. Robert was in the brass band and dance band and would go out for that. 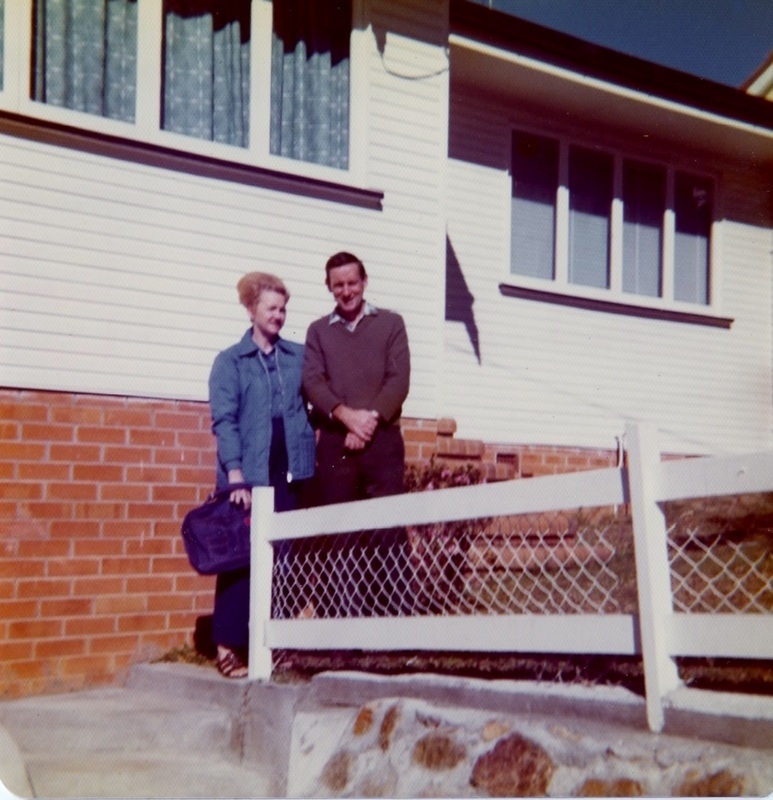 We had fantastic neighbours, Tom and Betty. They had a dog called Bob. They would always yell out to it, “Bob!” and I thought they were yelling at Robert! What would families and children do in the area? The kids would go to the park a lot and play at other kid’s houses. Who were your friends growing up in the Woods? There was a family up the road who didn’t have a car so I would offer them a lift and became good friends with them. What sort of transport did you mainly use to get to town or the shops? The tram was still operating but we always had a car. Coming from the country, we knew that Enoggera Creek would flood. That’s why when this house came on the market, we were happy that the block was elevated. I knew Rod Theisfield and he would call me up and tell me if the creek was going to flood the bridge. I was always worried about being separated from Lorna, with her diabetes. In the 1974 flood, we both got trapped on the outside of the Wood’s. We slept up in the Uniting Church who looked after us very well. I remember the rain, it just teemed down! We remember all the old houses down along Royal Pde getting washed away. The water was up to the rooftops. 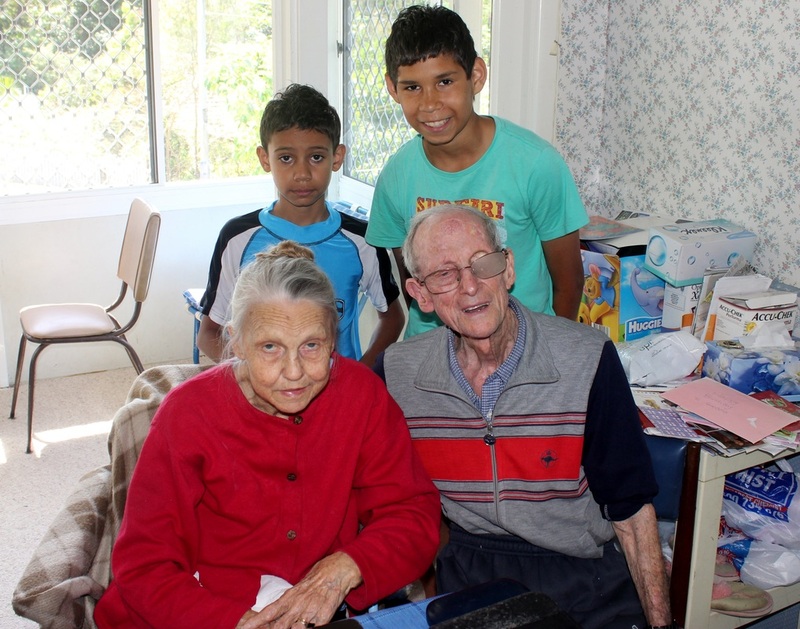 Why do your Grandchildren live with you? We look after John’s children here in Brisbane. He worked remotely and the mother had some problems, so we took them in. We would be in trouble if we were not able to drive. Lorna is not as mobile as she was eleven years ago when we took in the grandchildren. Below are the original interview files, broken into approx. 10 minute segments. You may need Apple ITunes to listen to these files, as the interview was recorded on an Apple IPhone. Published with permission. 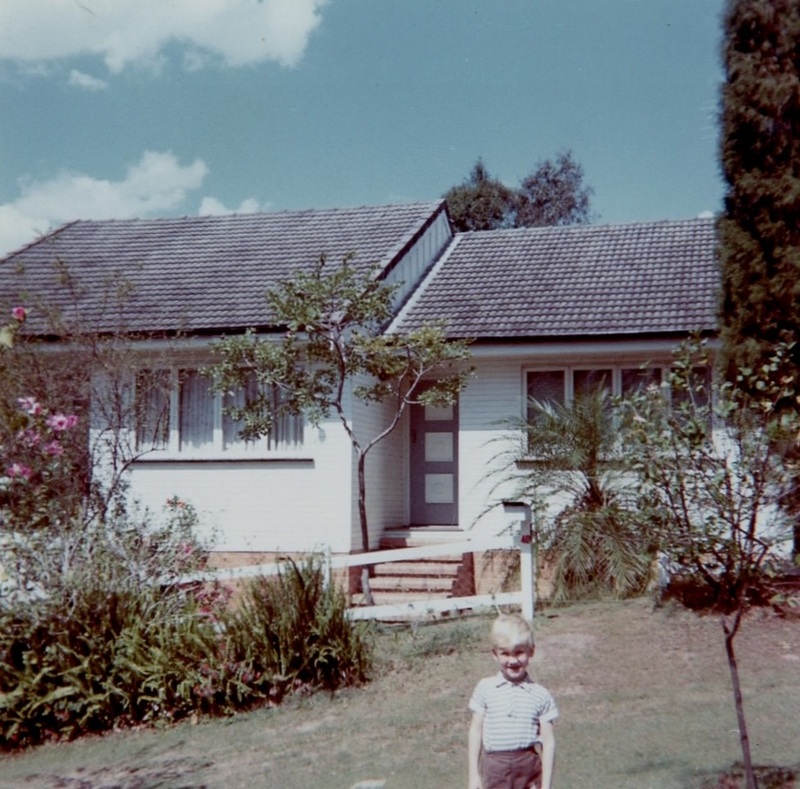 The house we rented in 1967 at the corner of St Johns Ave and Royal Pde. 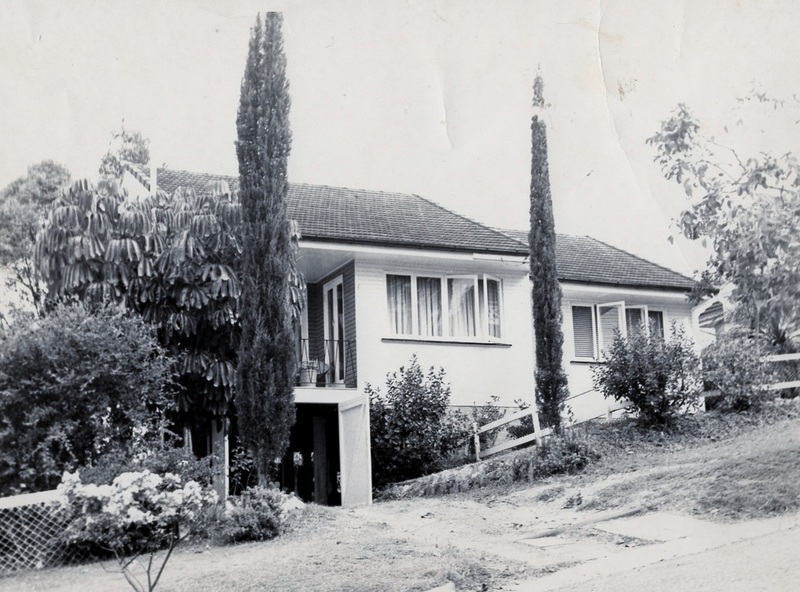 Our house at 40 St Johns Ave circa 1968. The boys out the front. April 1970.